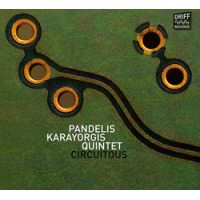 Boston based pianist Pandelis Karayorgis and young bassist Nate McBride are both graduates of the prestigious New England Conservatory of Music while Karayorgis also studied under master pianist-improviser Paul Bley. Perhaps Bley’s lasting influence serves as a paradigm or a foundation for this fine new recording titled “Heart and Sack”. 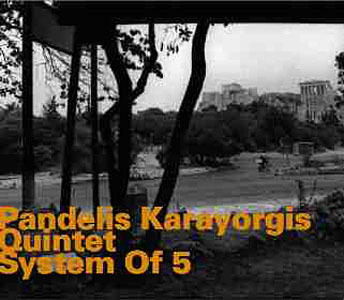 Not without an identity of his own, Karayorgis shows characteristics that pay homage to the masters but fortifies his individual prowess with gifted chops and a strikingly personal approach. While elder statesman saxophonist Joe Maneri promotes Boston, Massachusetts as a cutting edge town for free improv he has exerted considerable influence among top-notch jazz musicians and the results are significant. Maneri, the reigning master of free improvisation in the Boston area has bestowed many of his unique musical qualities and persuasions to the world of modern jazz. Thankfully, his influence has also rubbed off on many jazz musicians closer to home. 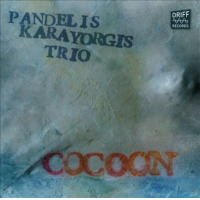 Along with drummer Randy Peterson, Karayorgis and McBride set forth to re-invent the piano trio. 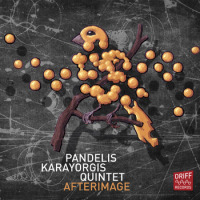 On cuts like “What Did I Just Say ?” Karayorgis leads with subtle, weaving chord structures accompanied by McBride’s luminous and full-bodied bass sound. McBride is a star on the rise. This young man displays finesse, maturity and a diverse musical vocabulary. Randy Peterson, who has performed and recorded with Joe Maneri is a major force and contributor. Peterson’s brand of drumming has a bop-ish slant. Peterson frequently extends the scope of these cuts with fancy yet non-intrusive rhythmic manipulations. He does a commendable job filling in the gaps and adding depth to the proceedings. On Eric Dolphy’s “Miss Ann”, Karayorgis insinuates rhythm with punctual phrasing. McBride’s intuitive walking bass compliments Peterson’s odd meter rhythms while Karayorgis pursues thematic statements with invention and poise. There is continuous interplay of a call and response nature. Themes are deconstructed and reassembled. On McBride’s “Half-Tilt” the Trio explores a slightly off center yet catchy theme. McBride utilizes harmonics, bends notes and takes the lead with intelligence and determination. “Heart and Sack” was produced by Mat Maneri and is a welcome addition to the increasing discography of Boston’s vibrant and expansive modern jazz scene. The subtle nature of this outing lies within each musician’s ability to develop intricate and poignant dialogue while never losing the tune. That alone, is art unto itself. “Heart and Sack” is highly recommended.